Horrigan Cleaners, Inc. is the Certified Textile Specialist you can trust to safely clean your clothing, wall-to-wall carpets, oriental & area rugs, tile & grout, upholstered furniture, and draperies. We've served generations of families since 1921. Let us serve you. Clean Carpet & Upholstery, is a family owned business based in Leominster, MA. We service all of Worcester county, Middlesex county and beyond! Our goal is to provide superior carpet and upholstery cleaning services at reasonable prices. Our method of cleaning is the safest and best long-term solution for your carpets and upholstery. To ensure optimum results, Clean Carpets employs a variety of methods. Our most popular method is known as Low Moisture Cleaning, using state of the art equipment and encapsulating detergents. This method uses minimal moisture/water allowing for a quick drying time and superior results! Since 1979, Duraclean Master Cleaners has been providing outstanding service, reliability and results to homes and businesses. If you value trust, integrity and experience when hiring a service company, Duraclean Master Cleaners is the company for you. Like most carpet cleaners, we offer truck-mounted steam cleaning. It is the industry standard and does a good job. What sets Duraclean apart is that we offer 2 superior carpet cleaning methods to steam, including the Duraclean Ultra-Dry process. 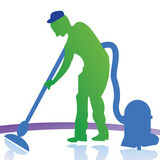 This process is for those who want the best cleaning that the industry offers. It combines the power of truck-mounted hot water extraction with chemical-free dry cleaning to remove up to 50% more soil from your carpets! And it dries in a fraction of the time. If you have had disappointing results from steam cleaning, try the Duraclean Ultra-Dry process. Duraclean also has a reputation for upholstery cleaning that is recommended by leading furniture companies and interioir designers. Maximum soil and allergen removal with minimum moisture lets you use your furniture the same day. Tile and grout cleaning by Duraclean is fast, effective and affordable. Our high intensity, hard surface cleaning will leave your tile and grout absolutely gleaming. We are so confident in our services that they are all offered with a 100% money back guarantee. If you are not absolutely thrilled with the results, we will return with no questions asked to resolve any issues. If you still aren’t satisfied we refund your money 100%. We offer upholstery services for both residential and commercial furniture. Our excellent reputation and quality work means you'll be satisfied with the finished product. Email us a picture of what you would like to have done and we can give you an idea of what to expect. Custom designs are our specialty. You can trust Chem-Dry on the North Shore with any of your carpet or upholstery disasters, no matter how big or small. 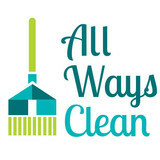 A cleaner, healthier, and more comfortable home is just a call or click away! The team at Sousa Services Cleaning Corp. is the most reliable and dependable in the industry. At our family-owned-and-operated cleaning company, your satisfaction is our top priority. We are a licensed, fully insured, and bonded company with workers' compensation, and our experienced staff is committed to completely satisfying your needs and exceeding your expectations. There's no job too big or too small for us, from entire executive office buildings to single-family homes. 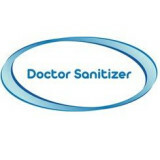 Rely on us for personalized care, attention to detail, and a spotless clean. 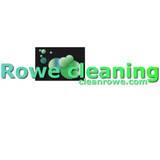 We are the highest quality, full-service cleaning company in the greater Boston area. Turn to us for even the toughest jobs and you're sure to be impressed with our timely, comprehensive, and professional services. Advanced Cleaning Concepts, based in Beverly, Massachusetts, specializes in carpet cleaning, upholstery cleaning, and water damage restoration. All of our cleaning services are green certified to keep the environment and your home safe! Contact us today to schedule an appointment. What should I look for in a local Weare carpet cleaner? Not all Weare carpet cleaning companies use the same methods, but there are a few common things that they should do to for a quality job. Make sure they do an analysis on the area you need cleaned and recommend the best course of action — are there large stains or high-traffic areas that need extra treatment or attention? Also, make sure they provide quick drying times so that you can be back in your home faster; that means hours, not days! A good carpet cleaning service in Weare, NH should move furniture (within reason) and put it back in place when they are all done; don't let them charge extra to do this. Another important factor to look out for is whether or not the carpet cleaners use chemicals, and if so, they should be asthma- and allergy-friendly. This is especially important for households that have children or pets. Lots of Weare carpet cleaning services also clean rugs. Rug cleaning can involve anything from a simple wash to complete re-weaving or foundation work. Make sure the local rug cleaner you choose has experience with the types of rugs you need serviced, especially if they are hand-woven or Oriental rugs. What should I look for in a local Weare upholstery cleaner? Upholstery comes in many more varieties than carpet and rugs, thus needs cleaning tailored to each specific blend. Even if you don’t know what material your sofa or chair is made with, a good upholstery cleaning service in Weare, NH will be able to identify it and treat it appropriately. Some textiles require dry cleaning and that can’t be done in home, so if that’s the case, check with the upholstery cleaner and see if they offer pickup and drop off services. Leather cleaning is a bit different and often involves more restoration and conditioning than actual cleaning. Make sure the Weare furniture cleaning service specializes in leather if you are considering them for the job. Find Weare upholstery and carpet cleaning services on Houzz. Narrow your search in the Professionals section of the website to local carpet cleaners in Weare, NH and read reviews and ratings to find one that fits your needs.